We are carrying out a monthly census of the birds of Bushey Ruff, Russell Gardens and Kearsney Abbey and the dates can be found on the Birding page. All are welcome to join us for a mornings stroll counting the birds we see and hear. Our records will inform Dover District Council's plans for the parks. We will also concentrate on nest recording in the spring and summer. We are recording birds, nests, conducting bio-blitzes and developing a ringing and educational programme at this exceptional site. Not only can you join us but you can also visit the amazing Powell-Cotton Museum and Gardens. Not forgetting the Quex Barn which has all things yummy. 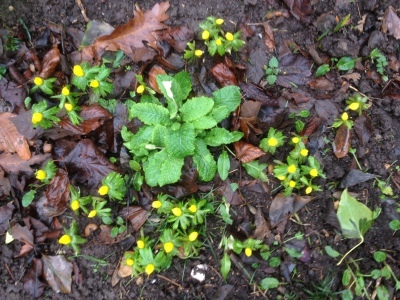 Early spring flowers at Quex. 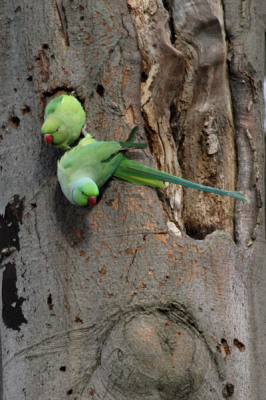 The Group has, so far, placed seven out of ten Nest Boxes for Ring-necked Parakeets at Quex Park. We have another three to locate at sites to be determined. Accompanying this note are images of the seven and, for the purposes of quick identification, they have been set as follows: one in the Garden area (G1), two in the Woods opposite the Paintball area (PBW1 and PBW2), one in the Woods by the horse paddock (W1), two in the outer part of the Woods near to the Crow Trap area (CT1 and CT2) and, finally, one more in the Woods en route to the Ringing area (W2). As can be seen from the images, most, if not all, have had some ‘attention’ paid to them! Two have been seen with Ring-necked Parakeets either in and/or leaving. 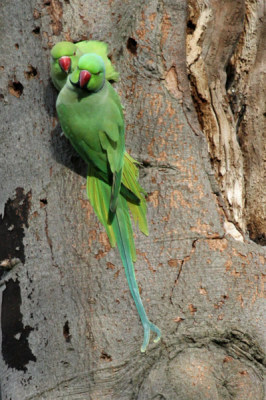 At the time of ringing, the writer had with him an extract from the BTO publication Ringing & Migration (2004), entitled Sexing and ageing Rose-ringed Parakeets Psittacula krameri in Britain. 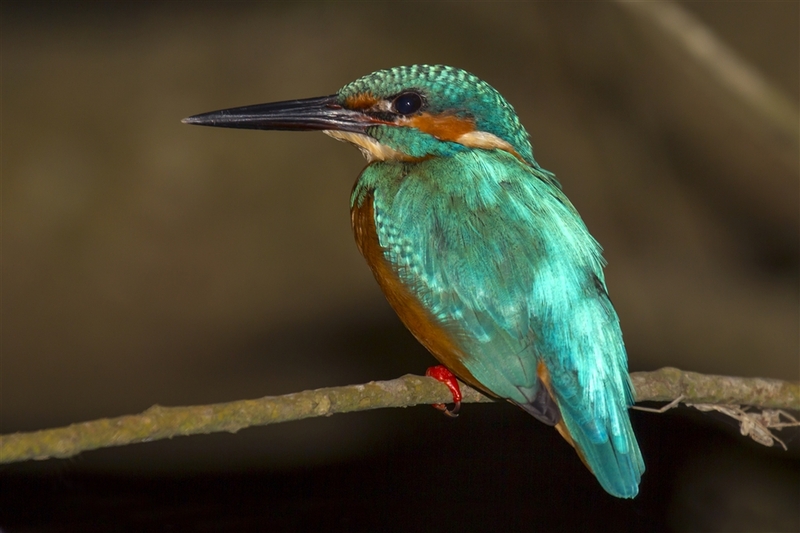 This being one of several papers presented by Christopher J Butler and Andrew Gosler of the Edward Grey Institute for Field Ornithology, Department of Zoology at the University of Oxford. This was perused, at the time, for guidance in selecting the above biometrics and now, by the writer, in an attempt to place the two ringed birds. There are two subspecies of RINPA in Britain, namely; Psittacula krameri borealis and Psittacula krameri manillensis. Earlier biometric work has been carried out by several studies led by Cramp in 1985, Forshaw in 1989 and Pithon in 1998, and their published findings, included in the aforementioned paper, as well as other information contained therein have been used here. Adult Male birds have a rose-coloured ring and a black bib that develops by their third year, thus our two were not fully grown Males. Ours, therefore, maybe young Males or Females. The Wing Length of both individuals falls within the parameters of Male borealis data (the female of borealis and both male & female of the manillensis subspecies generally being shorter). The Tail length of the individual measured again falls more within the range of a Male borealis bird than any of the other three options. The Beak lengths are less conclusive, however, still remain within the range of the Male borealis. Another biometric indicator is the Toe, however, for Pete’s health and safety, this was not taken. The Rounded Primaries might suggest that EZ09713 was born in 2014 whilst the more pronounced Rounding on EZ09717 might suggest a 2013 born individual, although this is inconclusive. Effectively (86.022 + 55.2894) or 141.3114 – 2.448 – 131.958 = 6.9054 – inferring Male. A further abstract, as published by British Birds in February 2001, entitled Determination of the origin of British feral Rose-ringed Parakeets by Josephine A. Pithon and Calvin Dytham, was reviewed. In this, and the previous paper, it becomes very obvious that future captures should have their toes measured to assist in possible identification. Nevertheless, herein the Wing data would appear to confirm subspecies borealis, where the Bill data could lean towards the manillensis subspecies. Some discussion is had as to the likelihood of inter-breeding betwixt the two subspecies particularly around the colouration of the Bill where options lay between red-and-black upper and lower mandibles or red-and-black upper with an entirely black lower mandible. If you look at the images of our two individuals, you might just get as confused as I was at this point! Finally, a sample of the tail feathers that EZ09717 left in the mist net was taken by Pete Findley for submission to the University of Kent to go towards the start of our co-operation with them in looking at these animals. The Group has now placed all ten of the Nest Boxes for Ring-necked Parakeets at Quex Park. The two in the outer part of the Woods near to the Crow Trap area are to be re-named (to save any confusion with the setting of a number of Crow and Spring Traps), thus CT1 should now be referred to as E1 and CT2 as E2. The final three Nest Boxes were located in the southern area of the woods and will, therefore, be designated S1, S2 and S3. Effectively (84.564 + 60.2183) or 144.7823 – 0 – 131.958 = 12.8243 – inferring Male. The Wing and, this time as well, the Beak data would appear to confirm subspecies borealis. Finally, a feather sample was taken from EZ09719 by Pete and placed in a zip-lock bag with its’ ID for submission to DICE UKC to go towards our co-operation with them in looking at these animals.